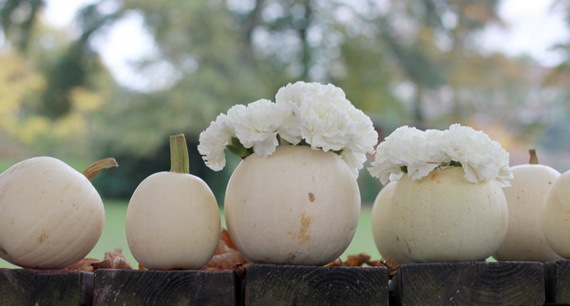 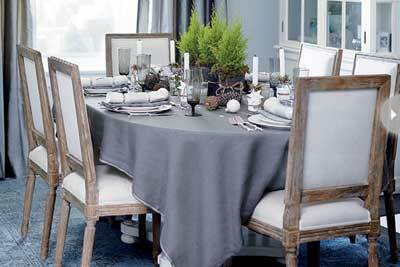 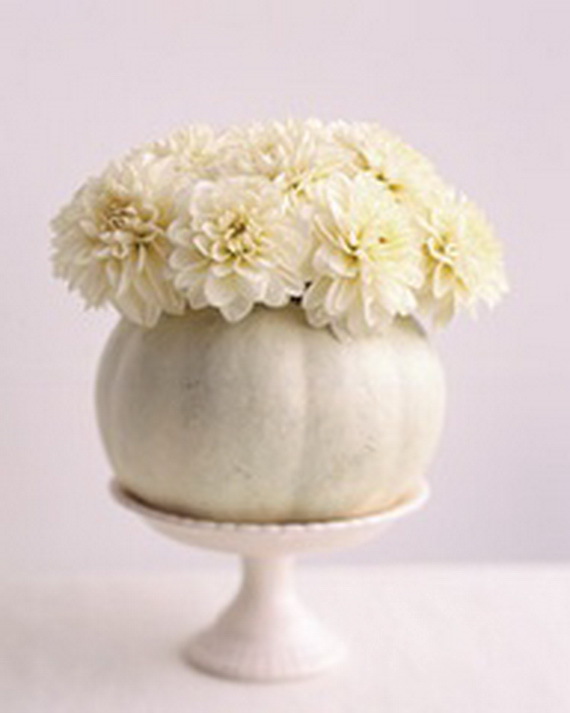 White pumpkins are everywhere this fall. 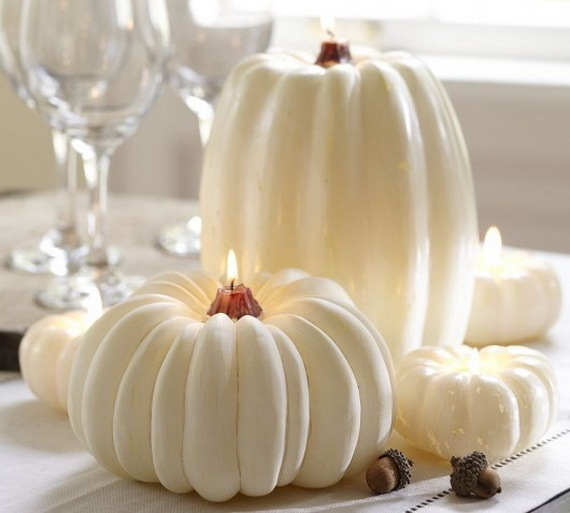 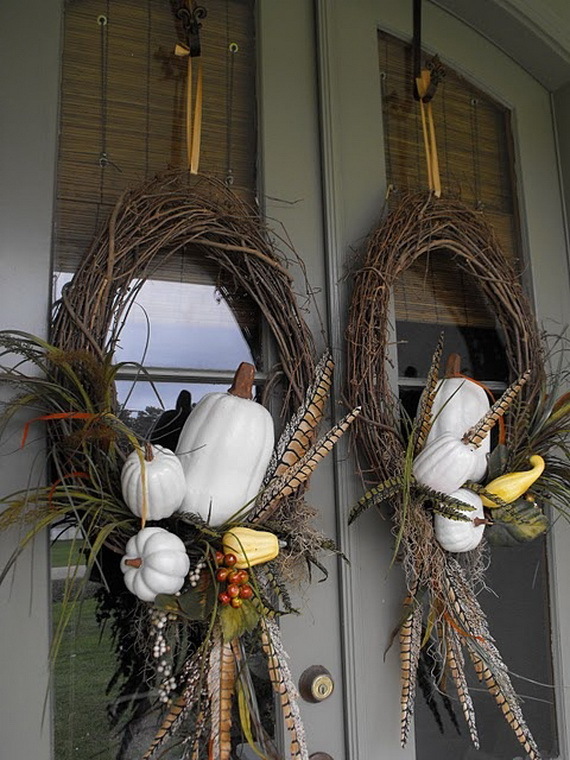 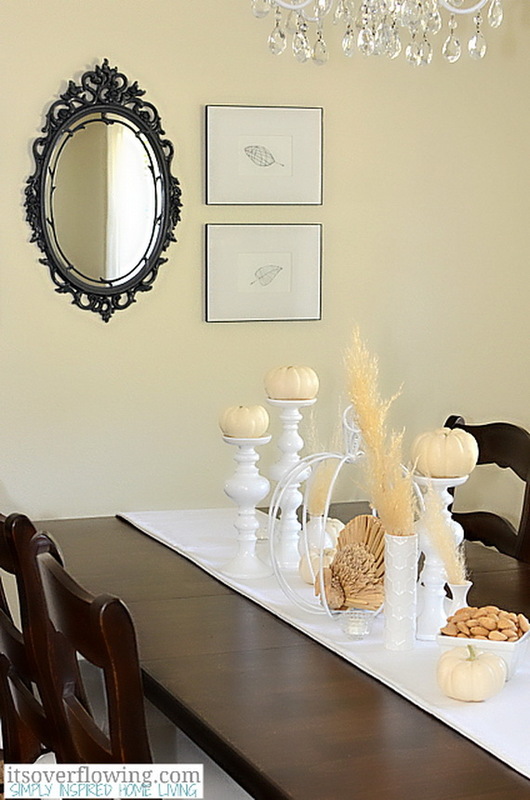 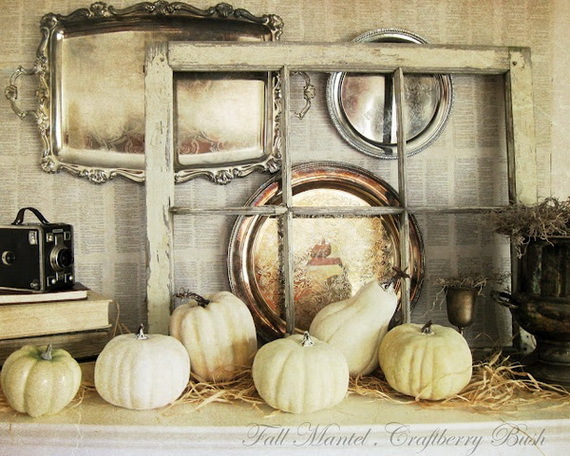 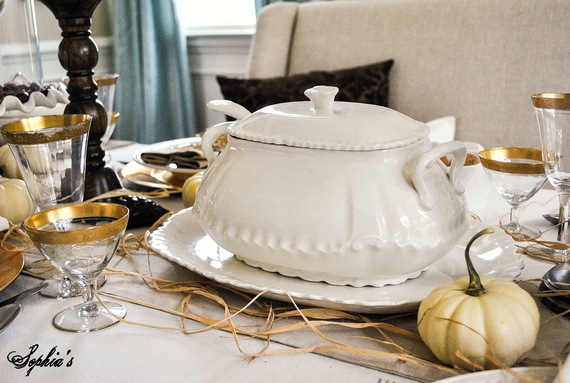 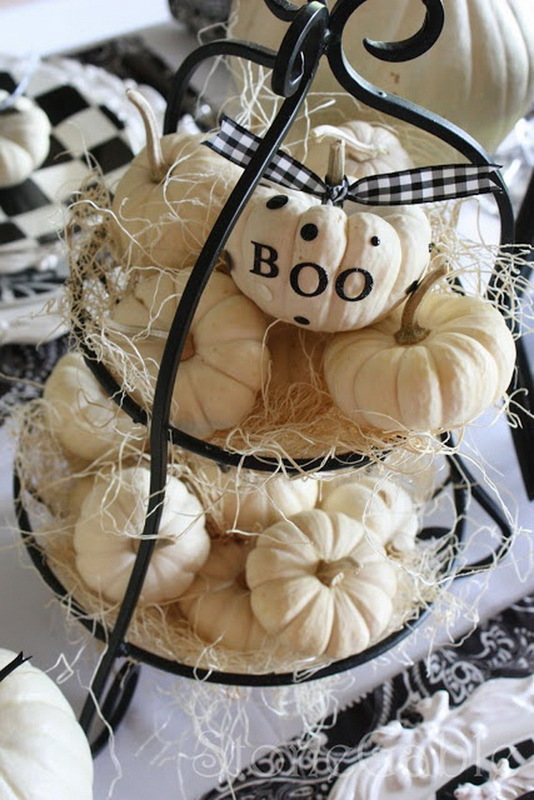 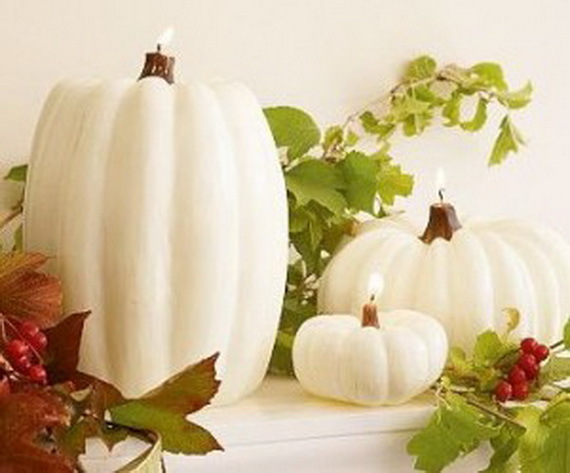 These Pale as the moonlight, white pumpkins became an alternative chic interior design and decorating item on Halloween beside the traditional old orange Halloween Jack-o-Lantern which are overly-associated-with-Halloween. 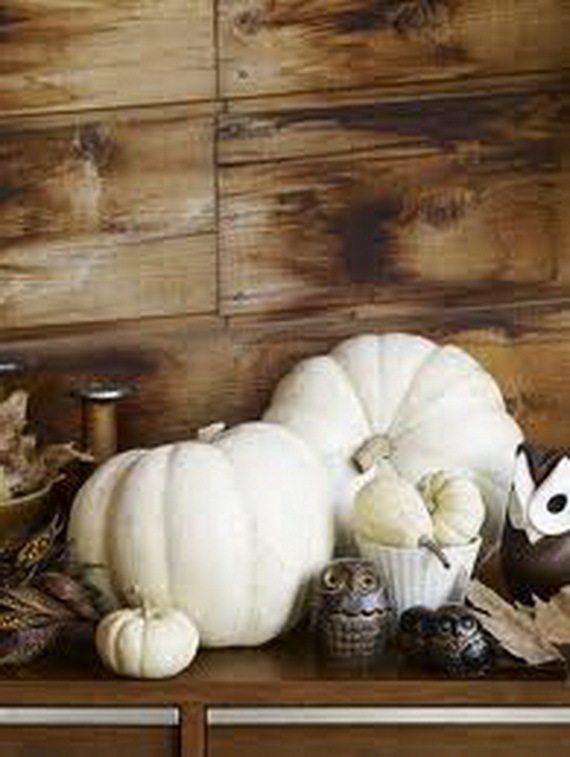 White pumpkins add seasonal appropriateness to your interior design arrangements because they are arguably the most magical in a patch. 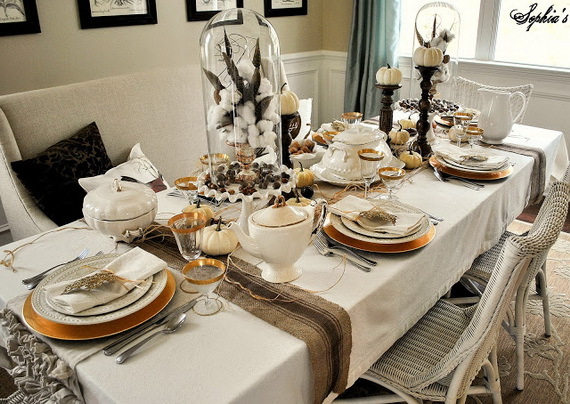 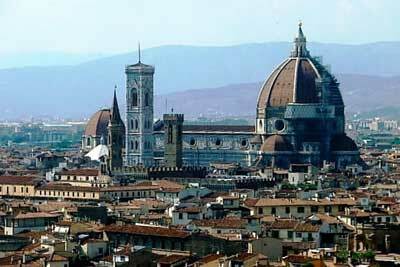 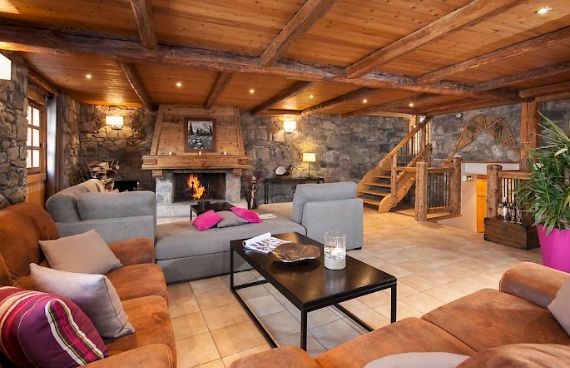 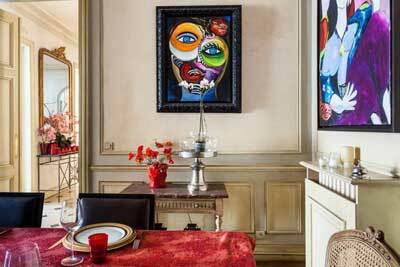 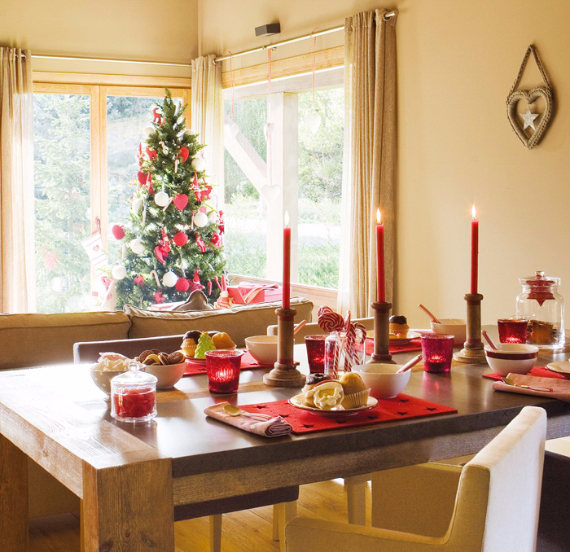 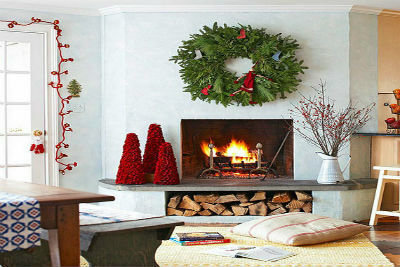 We provided in this post a large collection of interior design and decorating ideas to change up your space without being so theme oriented. 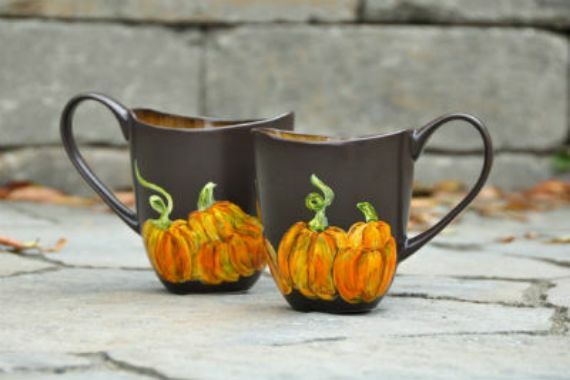 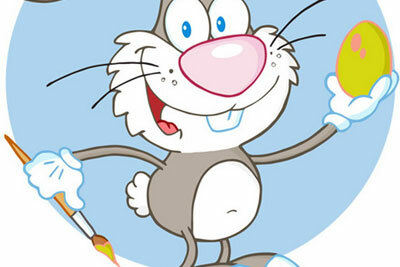 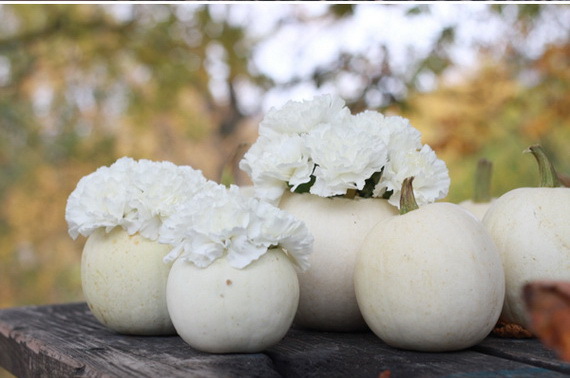 Some of these examples are varieties of pumpkins that are naturally white; others are painted for an even whiter effect. 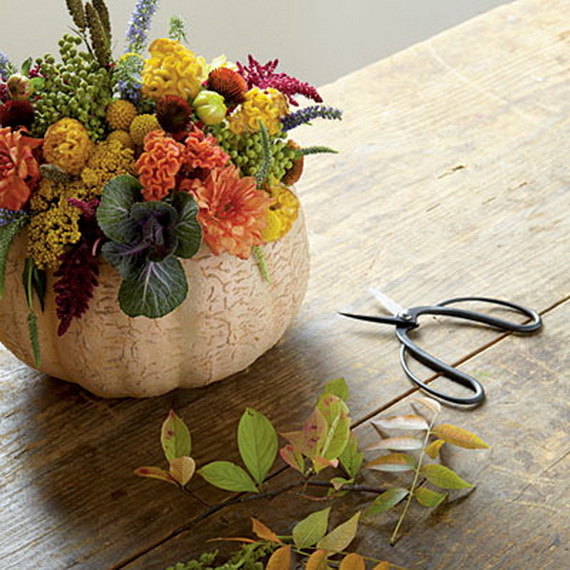 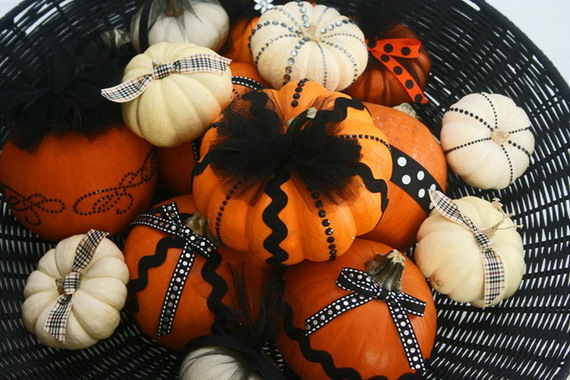 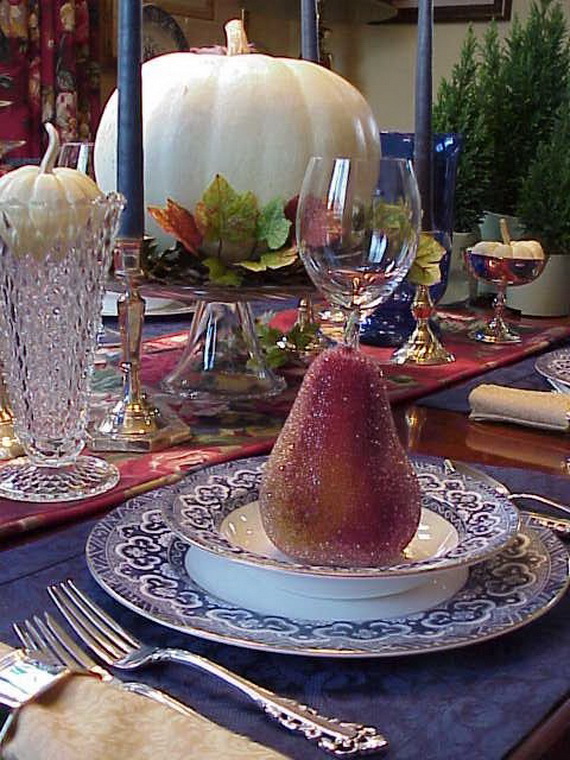 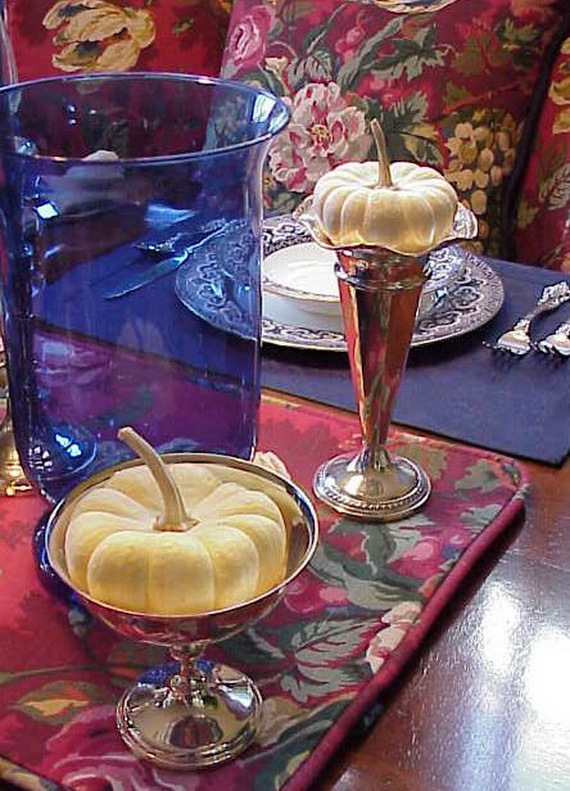 Adorn your white pumpkins with rhinestones, dried fruit, candles, Dried and Preserved Flowers, and more for a unique twist on your pumpkin decorating. 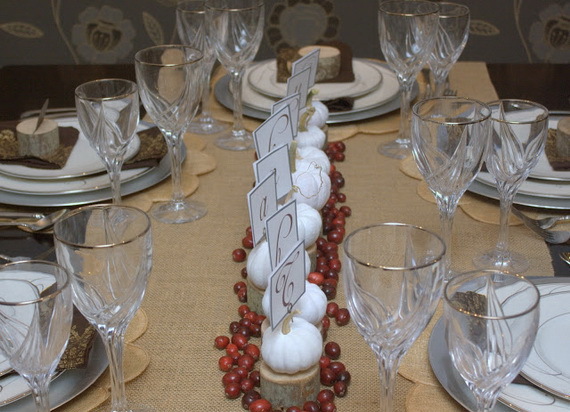 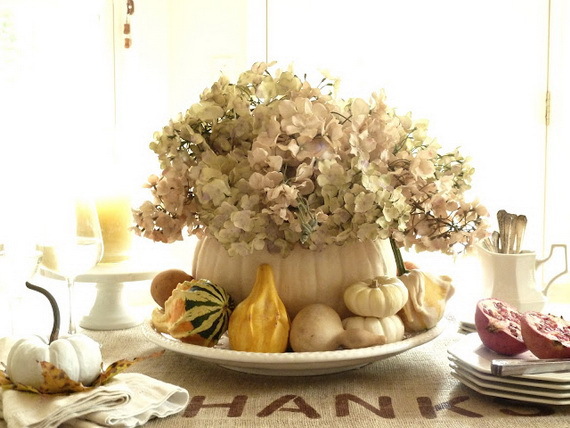 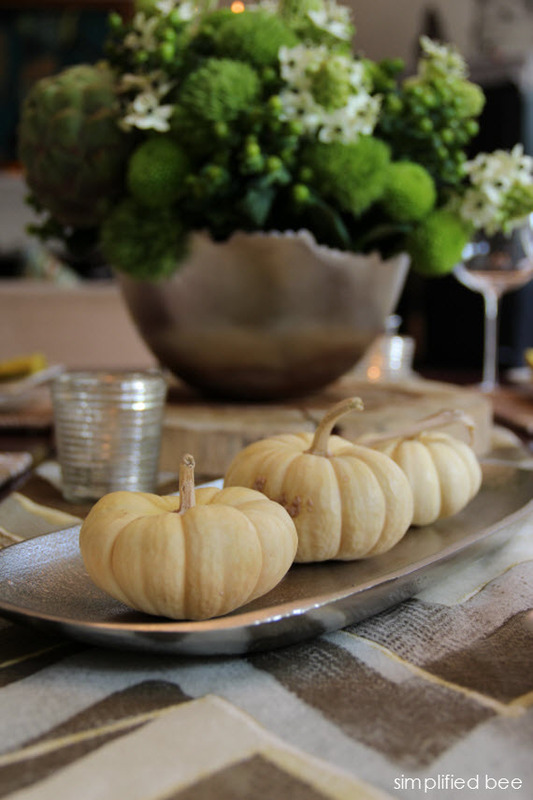 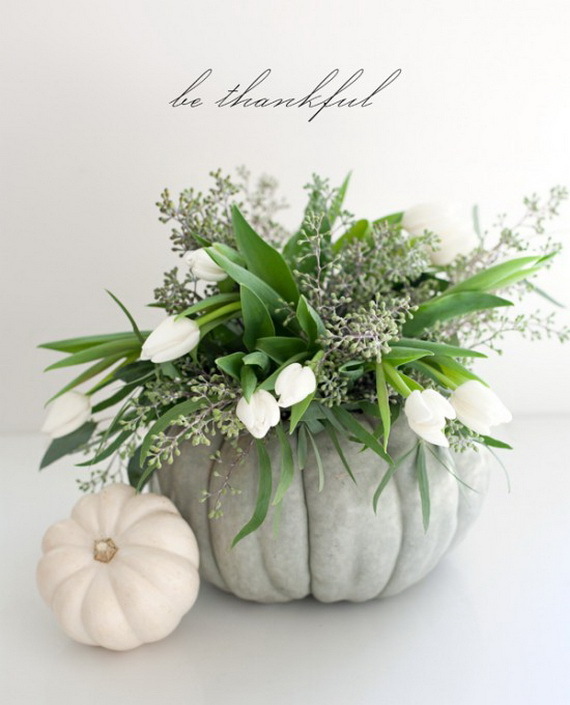 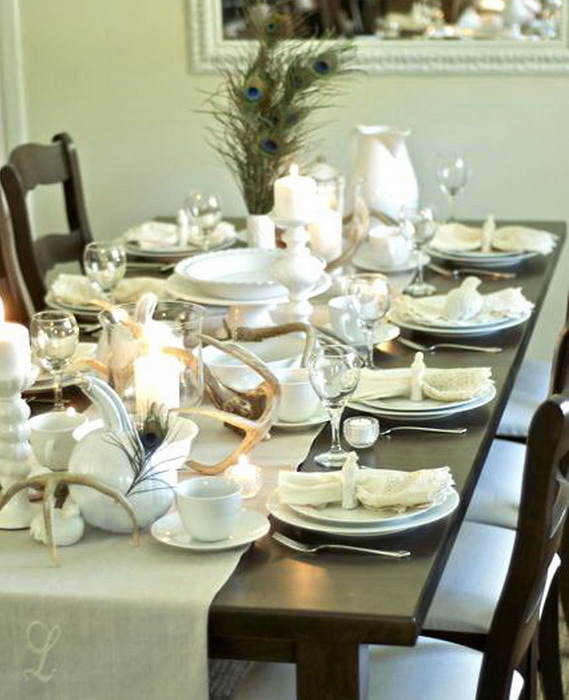 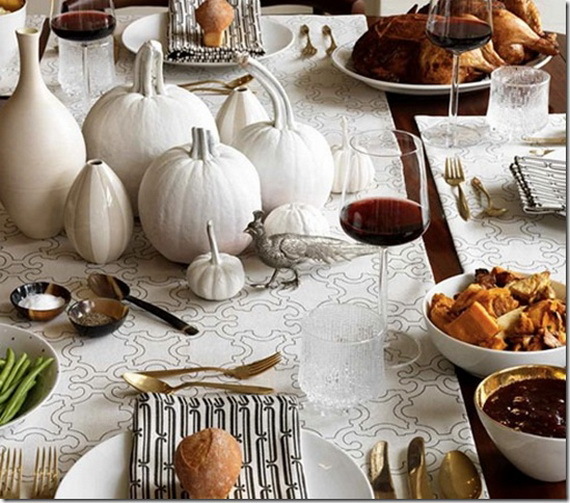 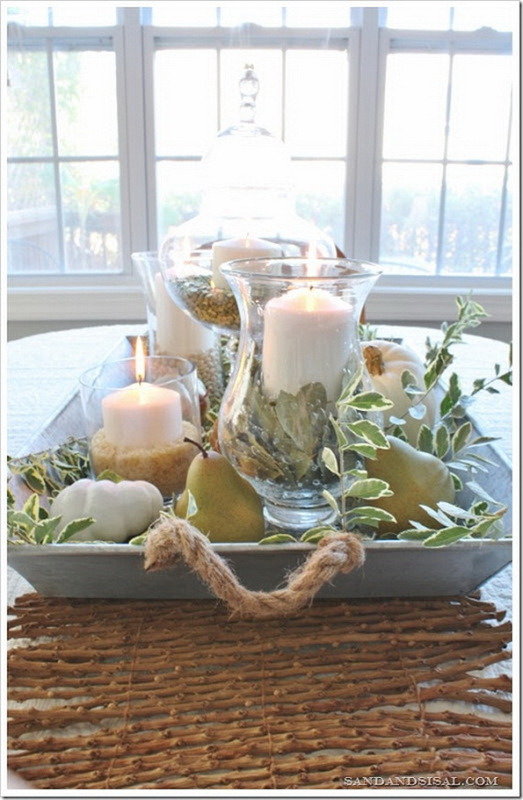 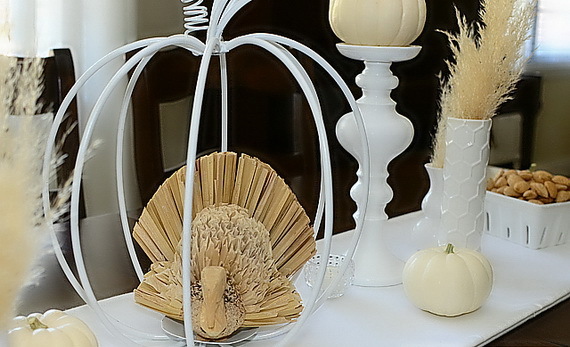 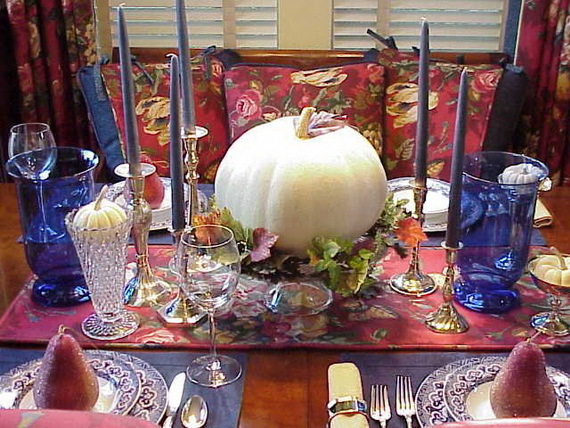 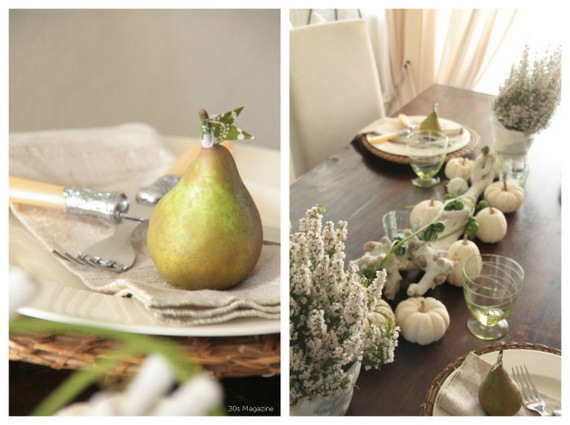 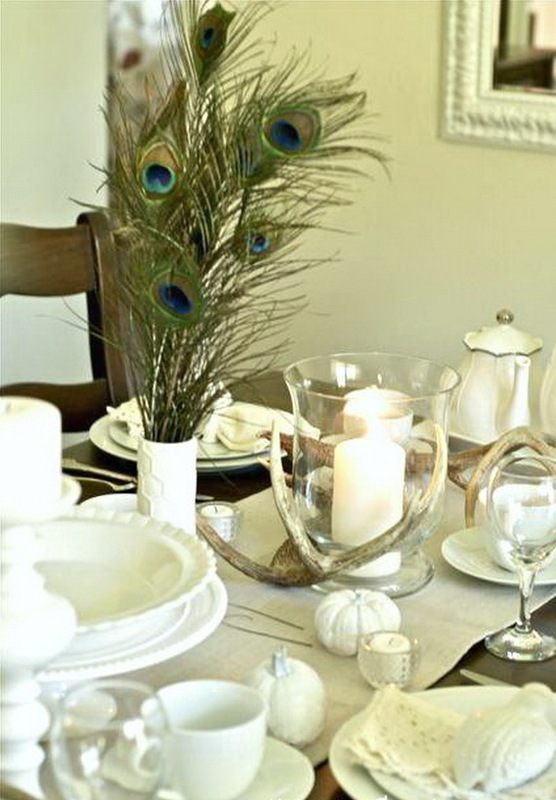 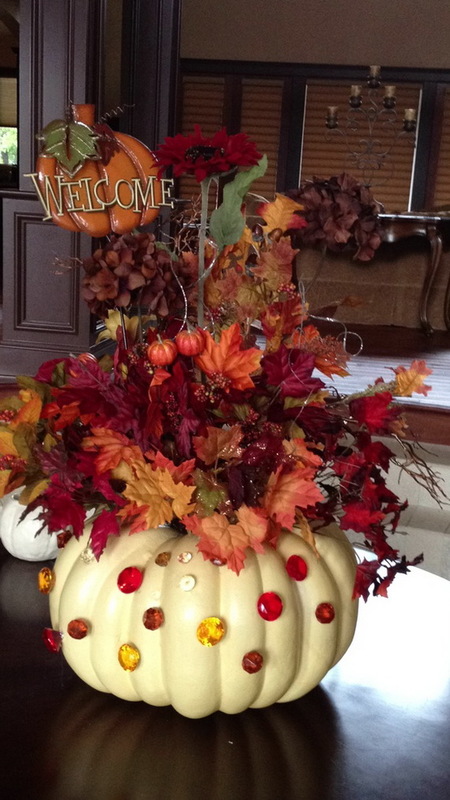 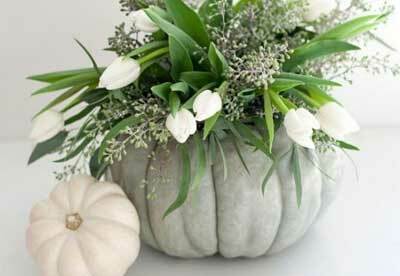 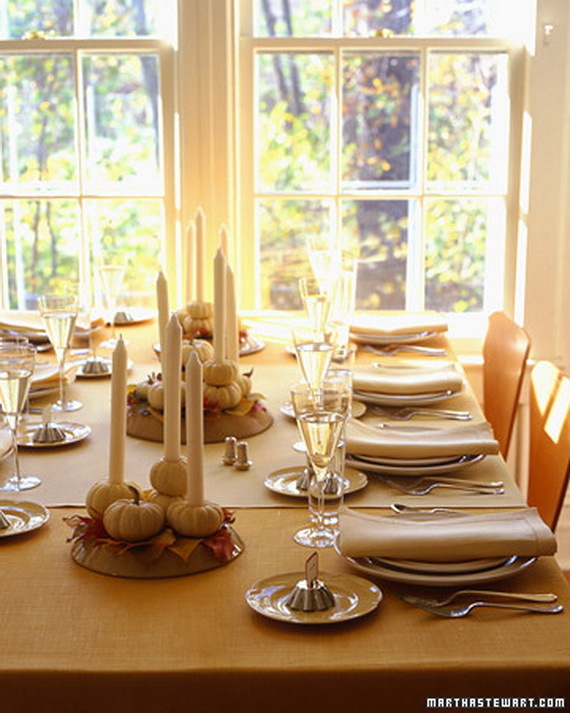 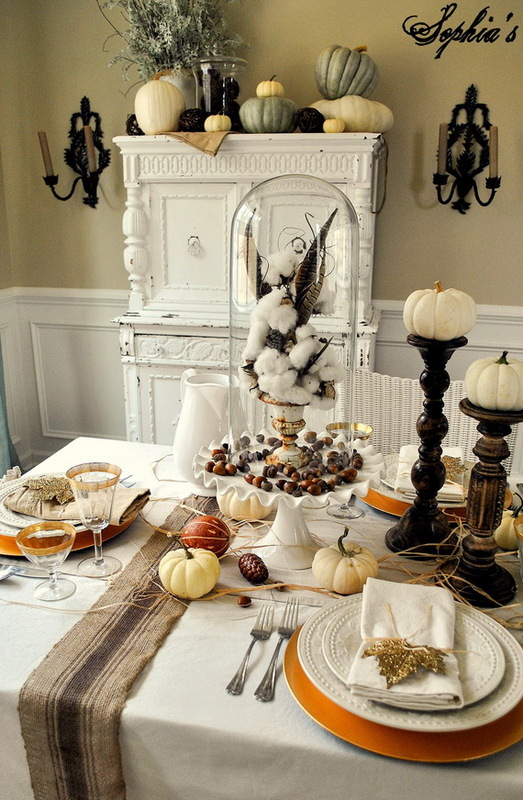 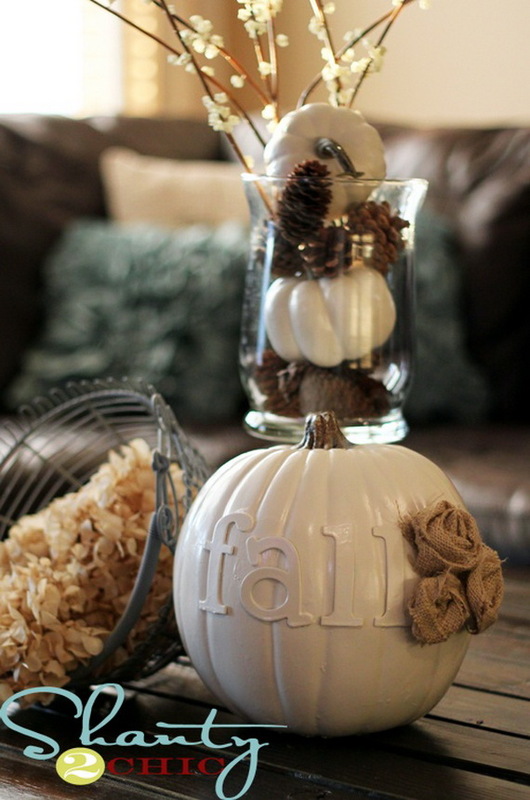 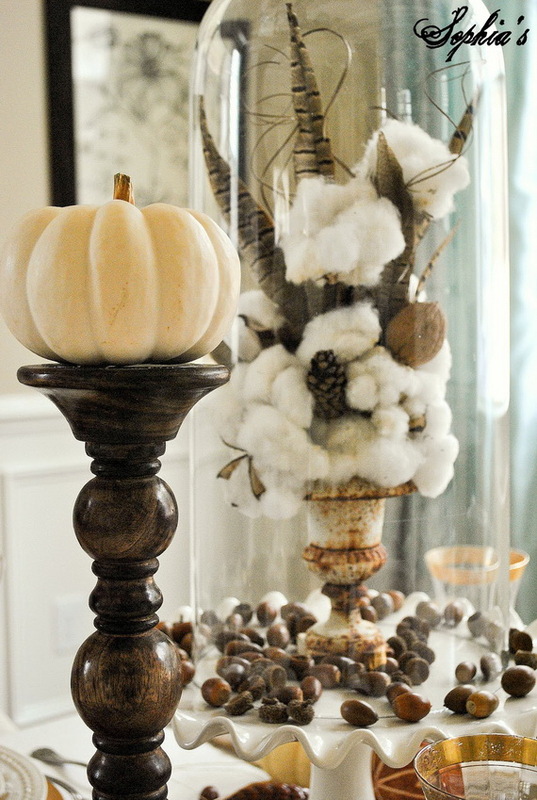 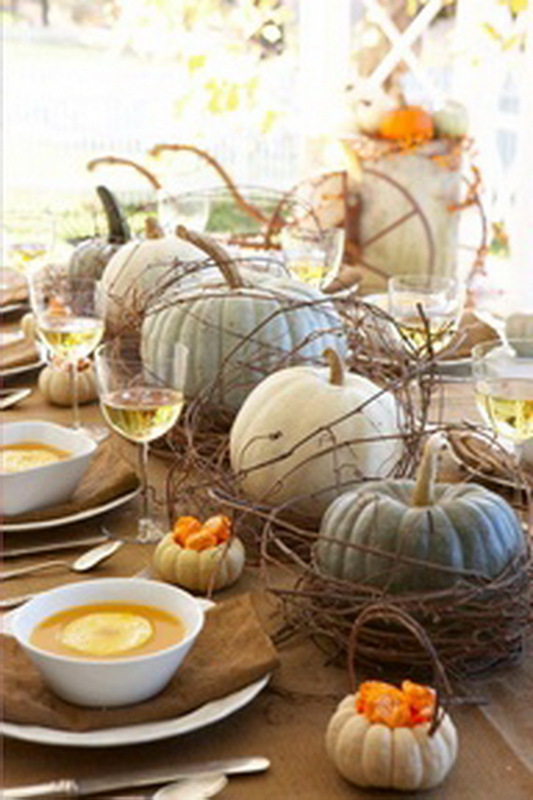 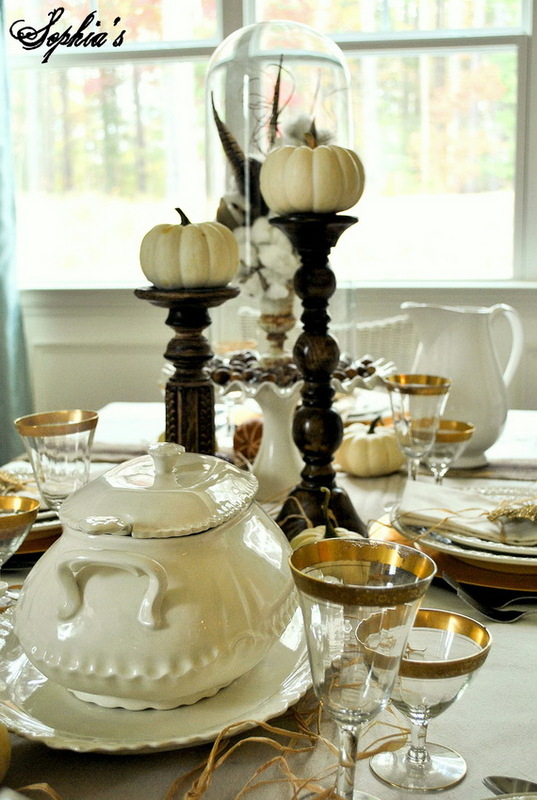 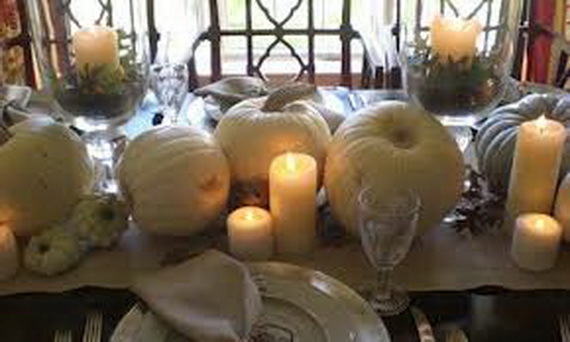 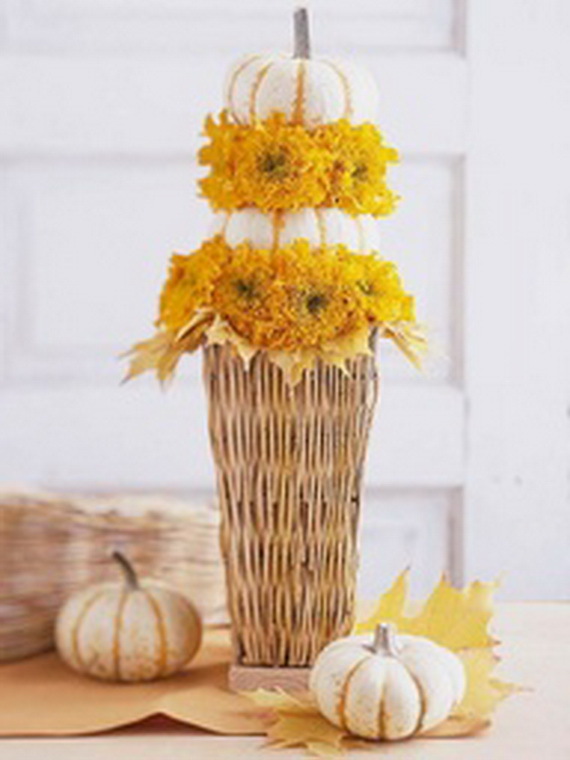 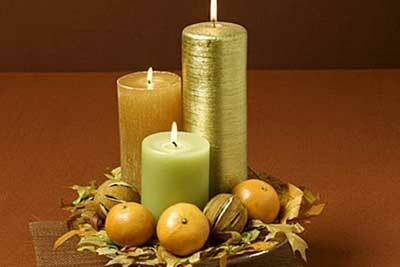 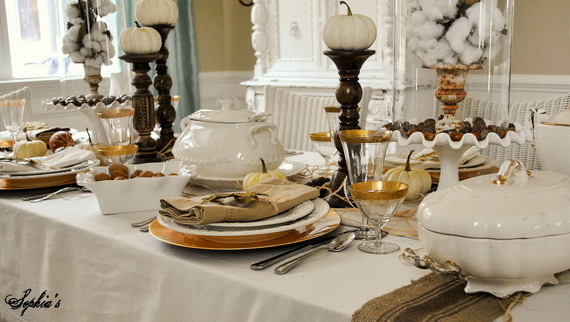 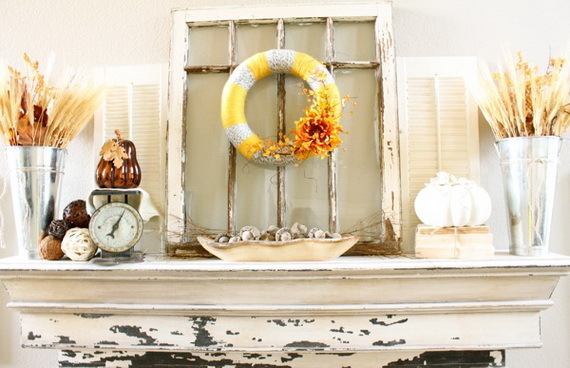 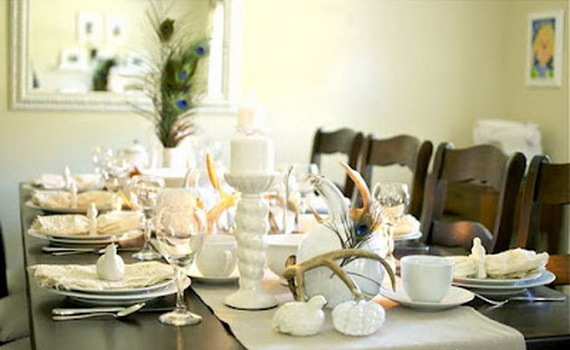 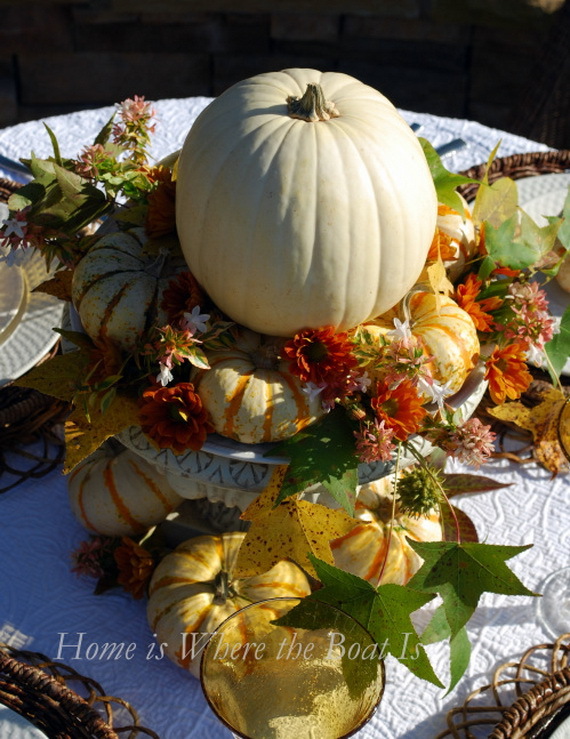 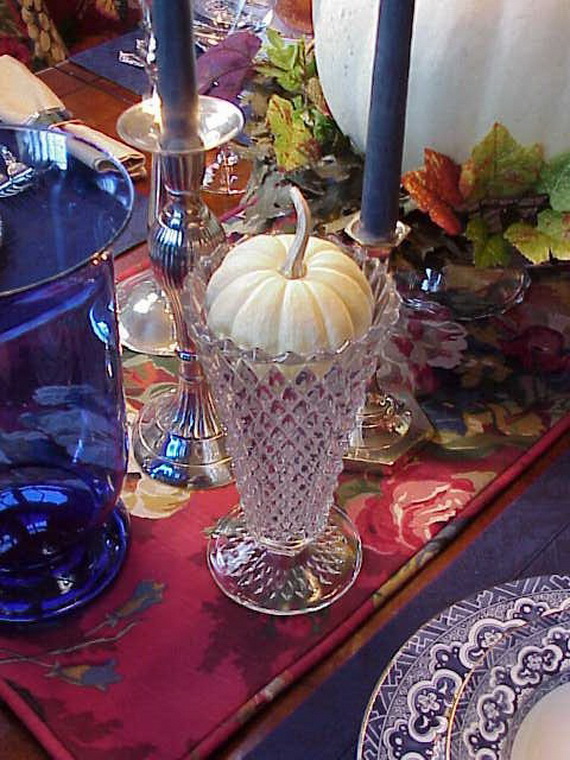 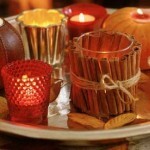 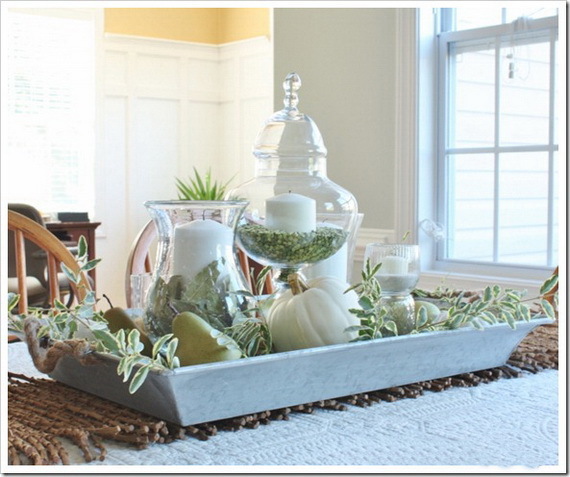 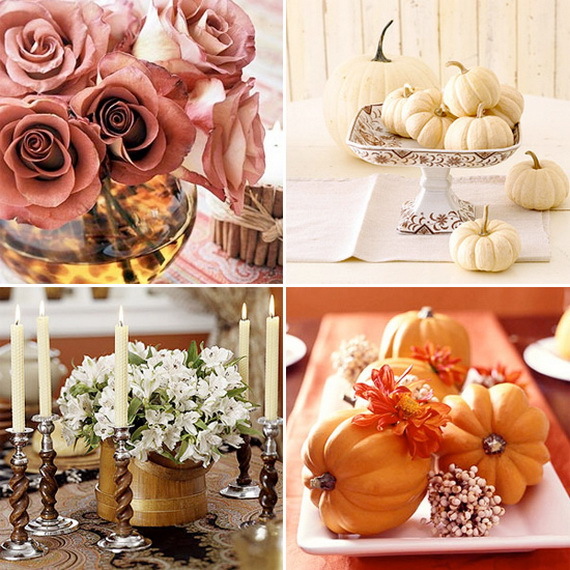 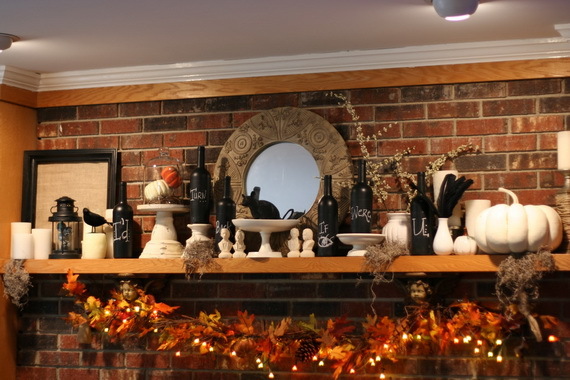 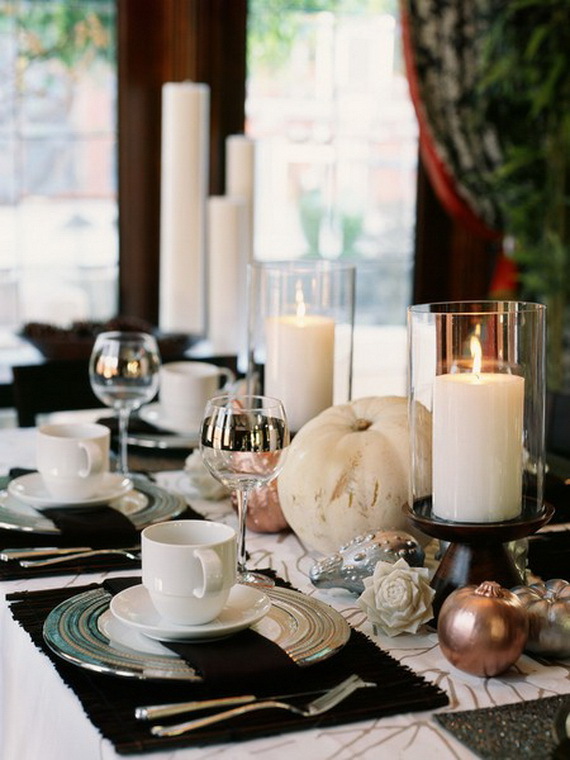 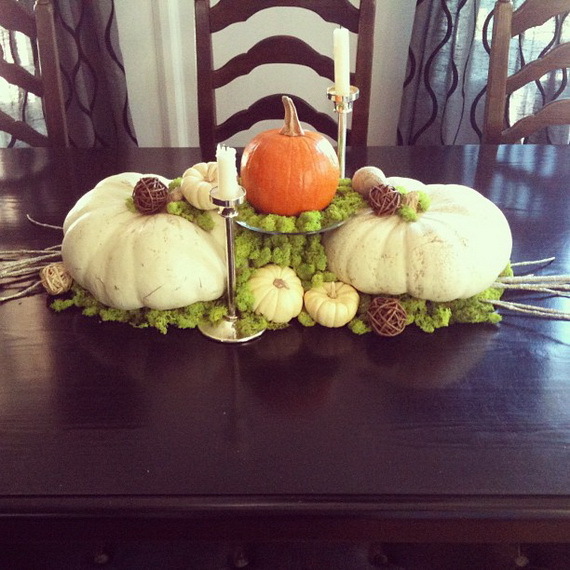 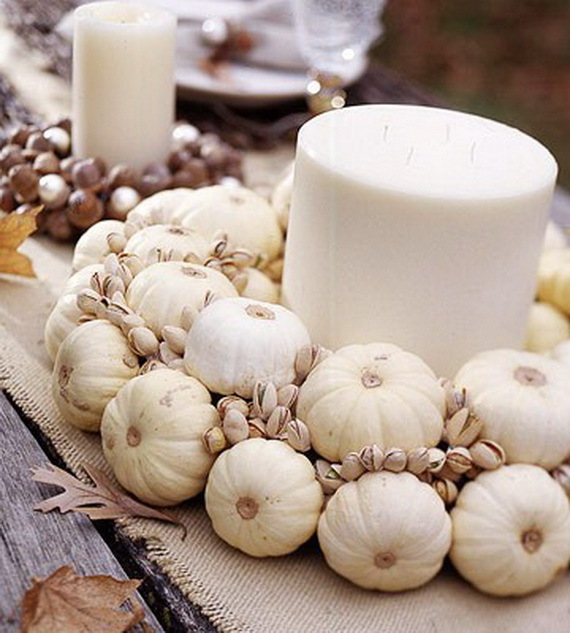 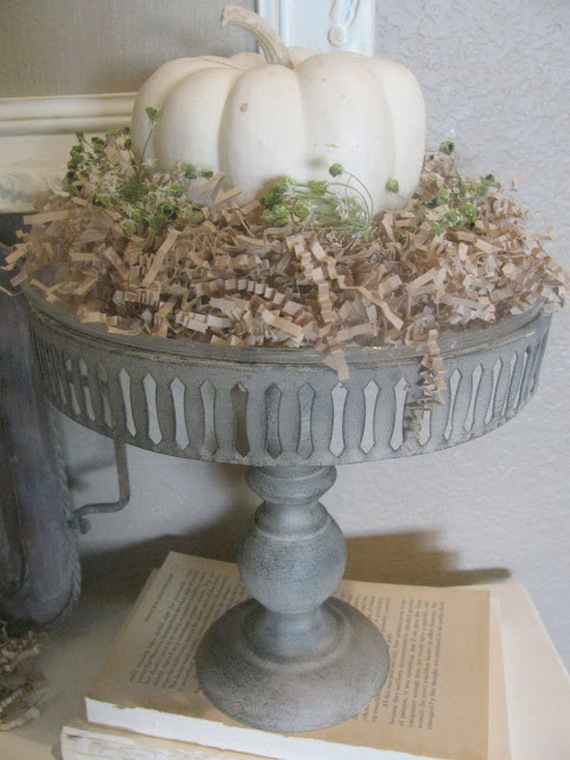 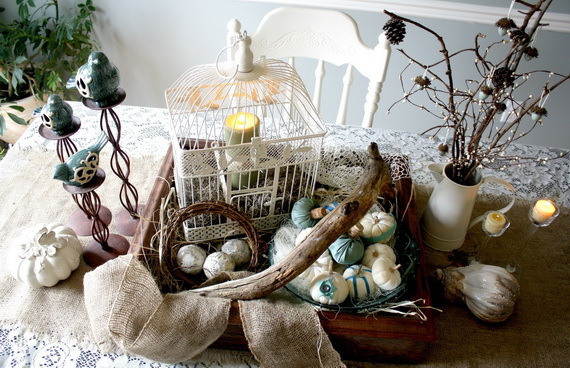 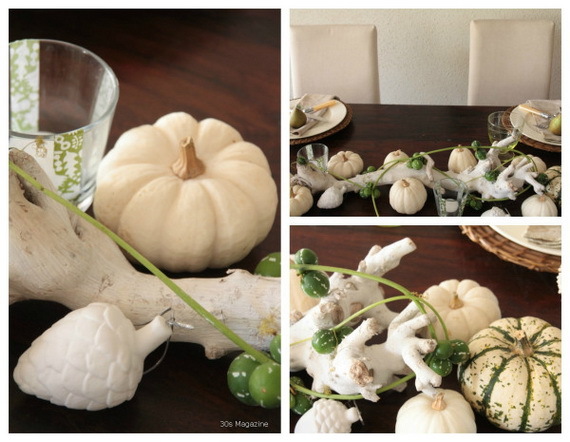 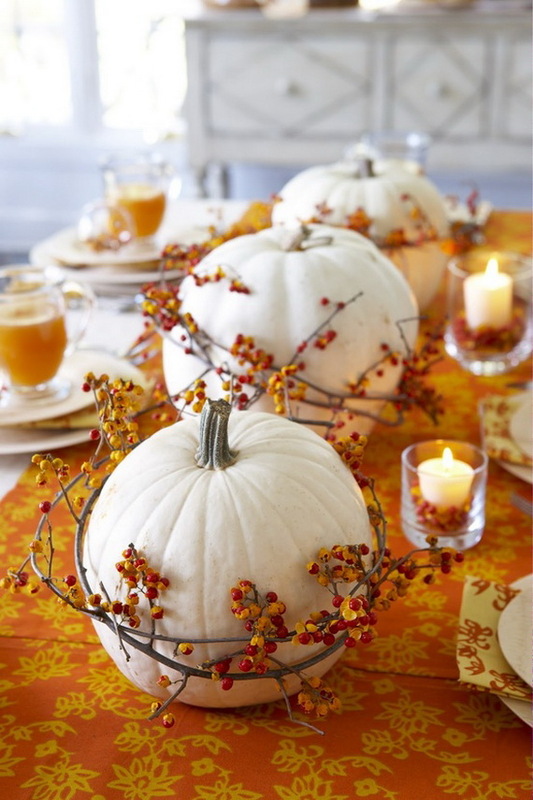 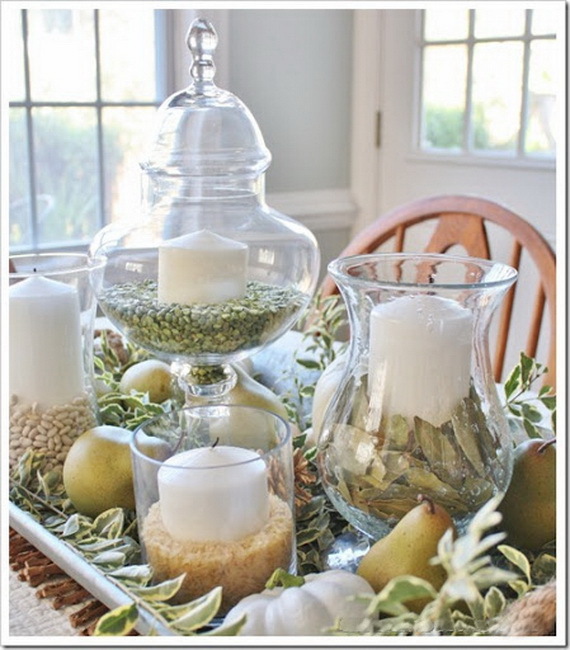 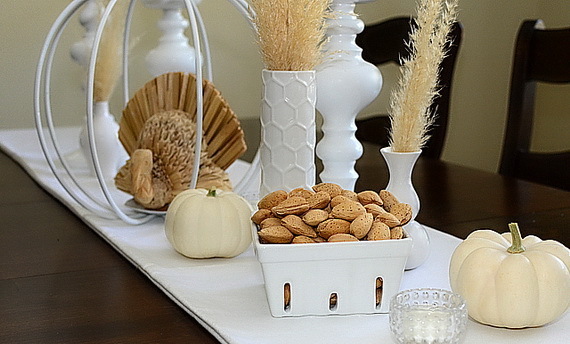 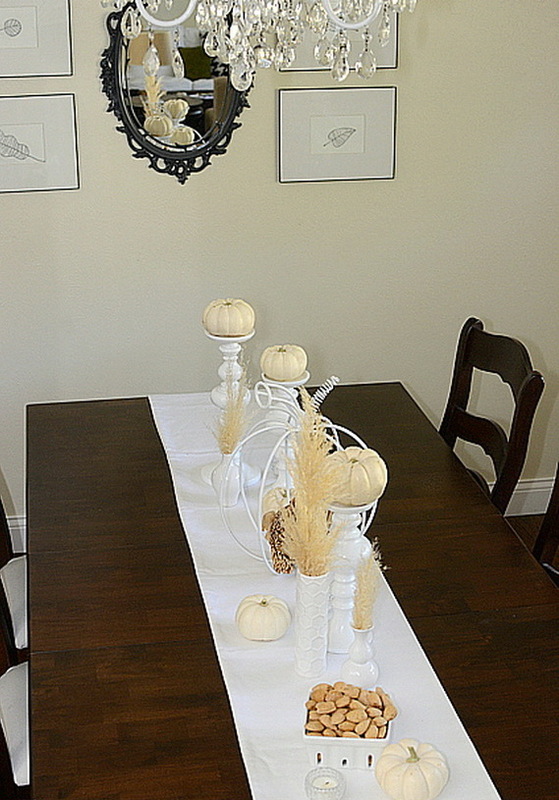 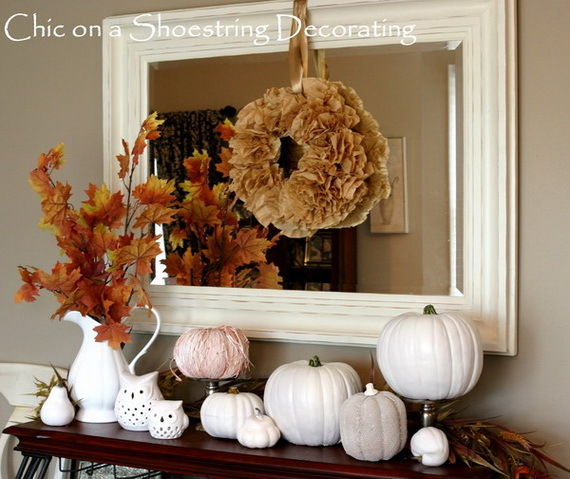 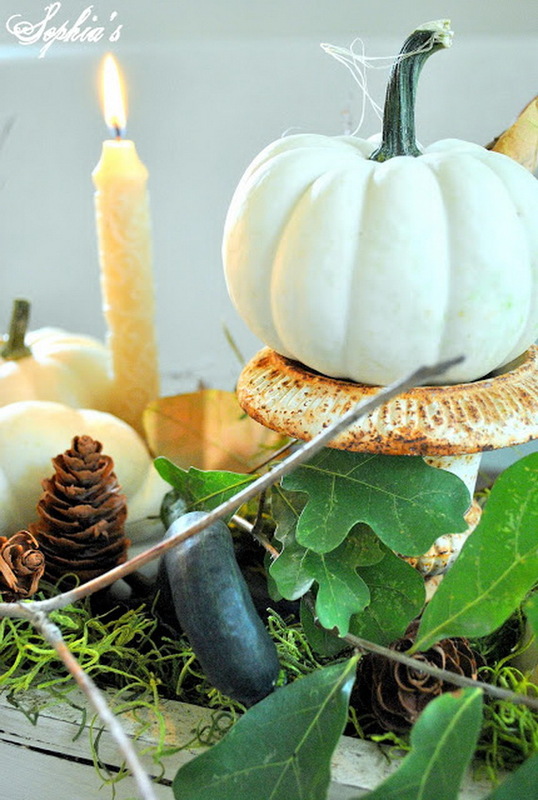 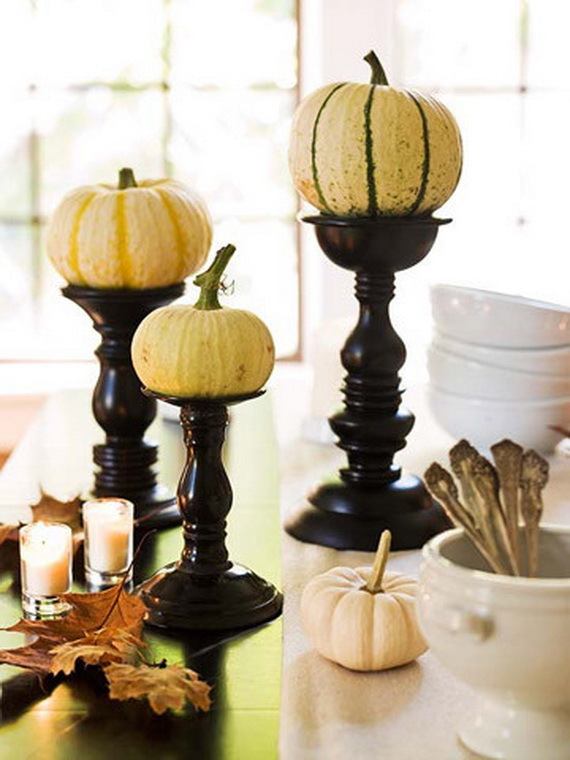 Our Thanksgiving & Fall Autumn White Pumpkin Centerpiece and Decorating ideas from pintrest will give you creative new ways to display Halloween pumpkins on your table and even everywhere in the house..